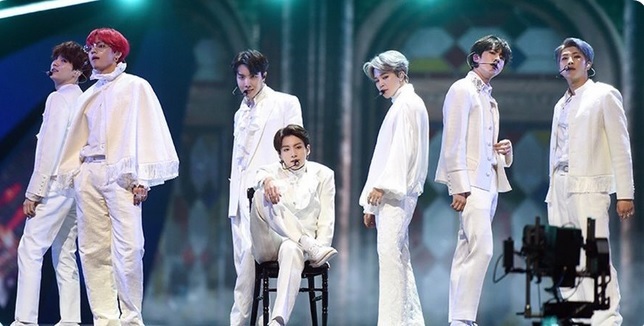 The successful BTS Concert at the Singapore National Stadium, reportedly, has 55,000 seats all sold out days before the Bangtan Boys’ live performance last January 19, 2019, Saturday. Records show that at 55,000 seats, this concert is undoubtedly bigger than the Citi Field Concert with 41,922 seats only, and the biggest – ever – for the World’s Most Popular Band. It’s a new record for any pop group, whether K-pop or any international group. Nevertheless, BTS slayed their songs, as usual – just like they did at Citi Field. RM, the leader of the group, once said they perform each song as if they’re performing it for the first time, because with that mindset, they would be able to give their best. The 2019 Singapore BTS Concert itself can be described ad infinitum by fans: “electric”, “mesmerizing”, “out of this world”, “ethereal”, “angelic”, “shook”, and many more superlatives. Meanwhile on Twitter, #BTSinSingapore trended at #1, as millions of fans shared their awesome and incredible experiences with their fellow ARMYs. Once again BTS owned the bird app. There were lots of highlights at the BTS concert in Singapore 2019; Jungkook was seen returning a phone of an ARMY that fell when he was bidding goodbye. The leader of BTS can truly be a leader that can enlighten the minds of this generation and older generations as well. Contrary to general perception, the ARMYs attending the concert included old and young alike; from students to professionals – of diverse ethnicity and age. Those who say that BTS’ ARMY are only made of screaming schoolgirls are definitely wrong. Likewise, ARMYs are ALWAYS mentioned after the Bangtan Boys received awards, with all of the members acknowledging their fandom’s power; saying that ARMYs are their “wings” to success. BTS’ RM Statement at the 2018 MAMA Hong Kong Shows Humility of Legends is another proof that these phenomenal superstars didn’t let success go to their heads. For sure, after the Singapore concert, every ARMY went home happy, contented and on fire to meet any tremendous challenge of the next day ahead of him/her.